These are all the side character for the Vampire Diaries. Mo is America's boss, he runs and owns the Swinging Door Diner. He's not exactly the best boss, seeing as how he is rather rude to all of his employees. 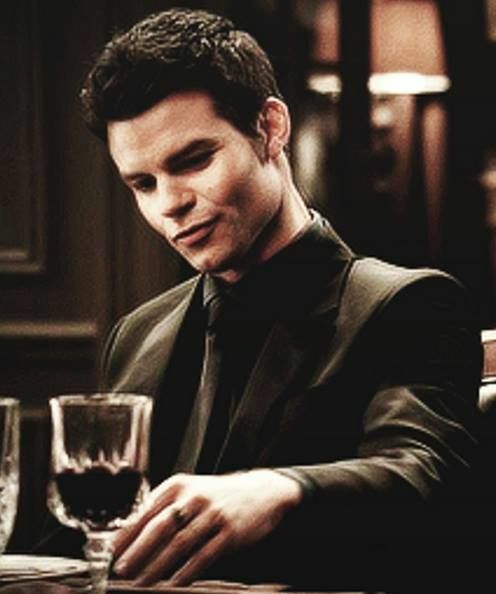 Elijah is one of the Original vampires, and has heard of the town of Hillsboro. He has traveled there before America's time, and just so happens to know Moseley Allen. Stefan is Damon's younger brother, and is the one who won Elena Gilbert's heart. Candice is America's best friend, but she is also a lesser vampire. Since her bloodline does not stem from the Originals, her fangs are in a different place. This makes it easier for Niklaus Mikaelson to tell who is a pure vampire (like Damon and Stefan), and who is a "Lesser". America is also unaware that her best friend in town is a vampire.